BOTOX® Cosmetic (a purified protein produced by the Clostridium botulinum bacteria) has been used safely by doctors for many years. 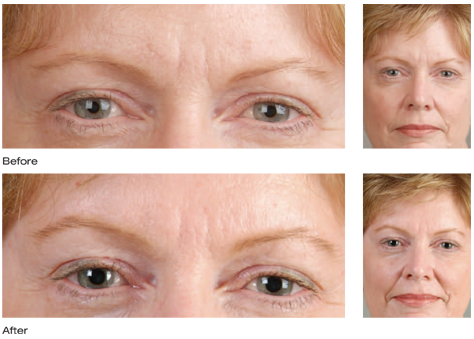 BOTOX® Cosmetic has been used for wrinkle therapy since the early 1990's. BOTOX® Cosmetic has grown to become one of the most popular cosmetic procedures. There are many reasons for this. It attacks wrinkles at their source. If you develop a frown line, putting a substance in to fill that line is not as effective without the use of BOTOX® Cosmetic to stop the frowning. 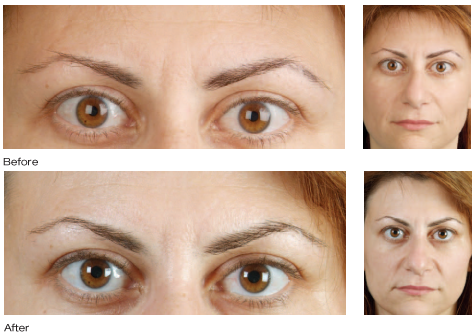 With BOTOX® Cosmetic, the negative image of frowning is stopped, and the lines created by frowning are improved. The same applies to forehead lines and crow's feet: if you can stop the cause of wrinkles then you will help to prevent them from returning or worsening. 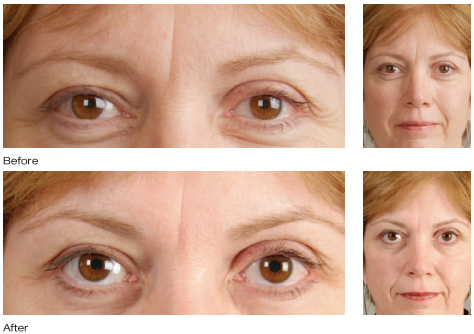 BOTOX® Cosmetic works by relaxing muscles that cause lines or wrinkles. It can therefore work only on areas that can benefit from this effect. These tend to occur in people who are expressive with their facial movements. Another area where BOTOX® Cosmetic is used is the upper lip. If someone tends to purse their lips when they speak they can develop vertical lines on the upper lip. These are commonly mistaken for smoker's lines. 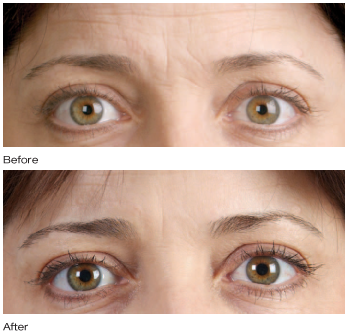 BOTOX® Cosmetic can help prevent these creases from forming, and improve their appearance. It can also help other substances used to help plump these lines last longer. If one develops perioral lines, or as they're commonly called, oral commissures, usually there is a turning down of the outside corners of the mouth. With two simple injections BOTOX® Cosmetics can relax these muscles creating a more turned-up mouth and a less noticeable line. As well it creates a happier appearance on the face. Necklines are usually vertical or horizontal folds of the skin. There is a fine muscle underneath the skin in the neck, and relaxing this muscle allows the skin to tighten resulting in significant improvement in this area.